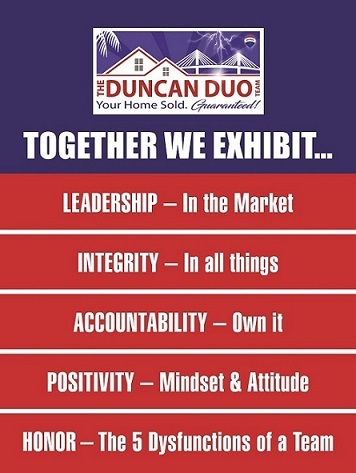 About The Duncan Duo Team & Team Member Bios Tampa Bay’s Best Real Estate Agents are here to help you! 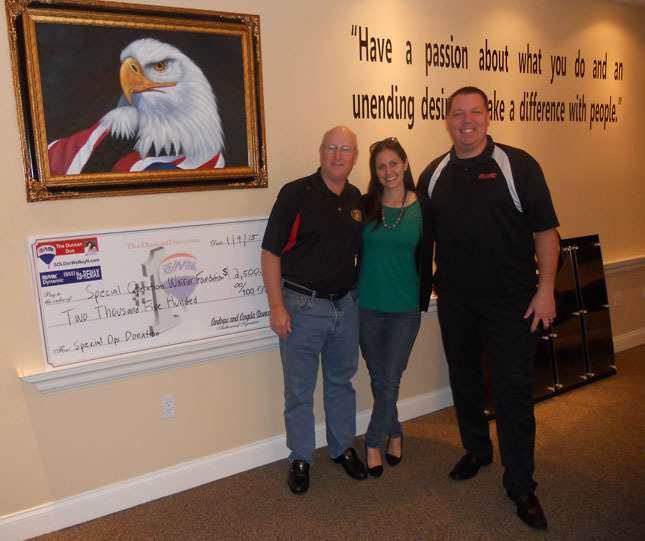 The Duncan Duo team has consistently been ranked #1 in sales volume and units in the Tampa Bay area for years. The team started growing in the late 2000’s from 100 sales in 2009 to nearly 1000 sales this year and a bevy of accolades have followed. Why do we sell so many homes and earn so many awards? Because we put our customers and our team members first! Our team truly ‘started from the bottom’ with Founder and CEO Andrew Duncan’s first year in 2005 a smashing success with only 1 sold home as an individual agent...….to his parents and he gave them half the commission! A focus on education, technology, integrity and the team’s core values has propelled it to massive success over a decade later helping it outgrow its space a few times and even expand into the Sarasota/Manatee market. The Duncan Duo are the Official Real Estate Agents of the Tampa Bay Lightning the #1 RE/MAX Agents in Florida (have been as high as #1 in the world out of over 110,000 agents), Top 20 in the Country in Real Trends the Thousand for Homes Sold, one of America’s Fastest Growing Companies in the Inc5000 and even have their own Tampa Bay real estate radio show on 970AM WFLA. Their success has attracted celebrities, dignitaries, and professional athletes as clients as well as notoriety on social media, local and national TV, newspapers and so much more. Celebrity endorsements include Jack Harris, Ron Diaz, Sean Hannity, and Veronica Alfaro. With the success comes responsibility….and The Duncan Duo focuses on giving back to the Tampa Bay community through its foundation that has volunteered with charities and contributed and raised hundreds of thousands of dollars for those same organizations: Metropolitan Ministries, Hands Across The Bay, Special Operations Warrior Foundation, The Housing Education Alliance, The Lightining Foundation, Habitat for Humanity and the Tampa Bay YMCA. While all the accolades for our world class team are fantastic, our greatest assets are the wonderful people that focus on helping our clients achieve their goals. You can learn more about each of our team members in both our Tampa and Sarasota offices and read their bios and video introductions by clicking on them below.